Tired of cooking chicken the same way? Fancy adding a massive amount of flavour in just one teaspoon? 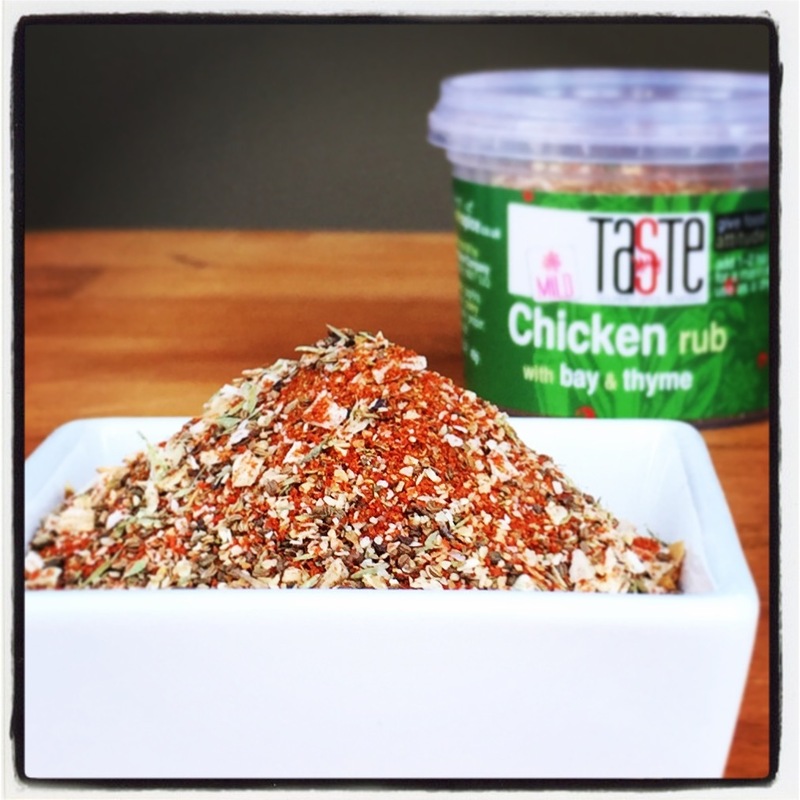 Well, now it’s so easy with our new Chicken Rub! The combination of the thyme and bay gives food a richly aromatic boost that’s just perfect for any poultry. Add to soft butter and either rub on the chicken, or pack in between the skin and the flesh before roasting – it’ll baste itself with lots of spicy, buttery goodness! 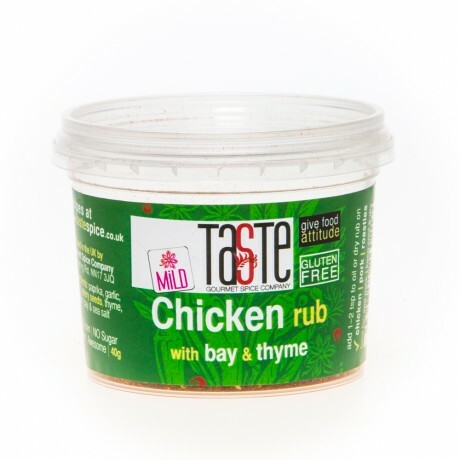 Alternatively, treat as a classic rub and add a splash of oil to a bowl with 1 or 2 teaspoons of the Chicken Rub and stir into a nice marinade. Add the chicken and really work the flavour in. If you can, pop it in the fridge over night but even an hour or two will give you great results. Then just cook it as usual on the griddle pan, BBQ or oven. For a really easy salad, flatten the chicken breast between cling film to get it al the same thickness (and increase the surface area for more flavour!) and then marinate or dry rub. It should only take about 5 mins to cook this way. Slice it into strips, scatter it over a salad with some croutons and dress at the last moment!